SAN FRANCISCO— Beneath the strings of red paper lanterns and narrow alleyways of the nation’s oldest Chinatown lies a sinister underworld, according to an FBI criminal complaint that has stunned even those familiar with the neighborhood’s history of gambling houses, opium dens and occasional gangland-style murders. Investigators say Chow is the leader — the dragonhead — of one of the most powerful Asian gangs in North America. Chow’s gang is said to have lured state Sen. Leland Yee into its clutches through money and campaign contributions in exchange for legislative help, as Yee sought to build his campaign coffers to run for California secretary of state. After dropping out of high school, Chow rose within the ranks of the local Hop Sing Tong gang after he and his crew survived a 1977 shooting at a Chinatown restaurant that left five dead and about a dozen people injured. Chow then spent a few years inside San Quentin Prison for a robbery conviction, and after his release, he started working with the Hong Kong-based Wo Hop To triad, one of numerous Chinese underground societies linked to organized crime. Chow has admitted that as a gang leader, he ran prostitution rings, smuggled drugs and extorted thousands of dollars from business owners in the 1980s. Although he ultimately was convicted of gun charges and sentenced to 25 years to life in the 1990s, Chow cut a deal to win release and returned to Chinatown several years ago, pledging to stay straight. 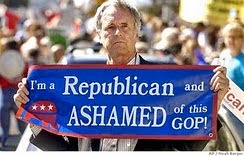 His work with at-risk youth soon won accolades from prominent politicians. 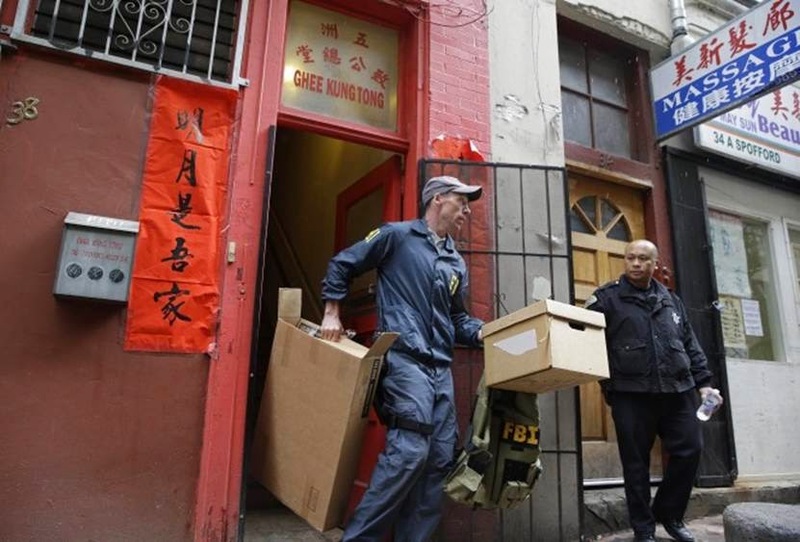 But the complaint alleges that Chow used his position as the dragonhead of the Ghee Kung Tong to launder money, receive and transport stolen property and traffic in contraband cigarettes during a FBI sting. Longtime residents and observers said the startling allegations revealed the continued presence of organized crime in the popular tourist attraction and home to one of the largest Chinese communities outside Asia. 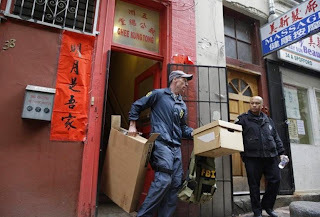 The pre-dawn FBI raid Wednesday at the Ghee Kung Tong’s office, next to a massage parlor and across from a benevolent society where elderly people play mahjong, also brought into focus its centuries-old history. The tong was founded in the late 1880s to support immigrants from Hong Kong and elsewhere in the Pearl Delta region. Amid morning rain showers Wednesday, federal agents and fire crews stormed the building armed with a circular saw and Jaws of Life to crack a safe that authorities say was at least a century old.